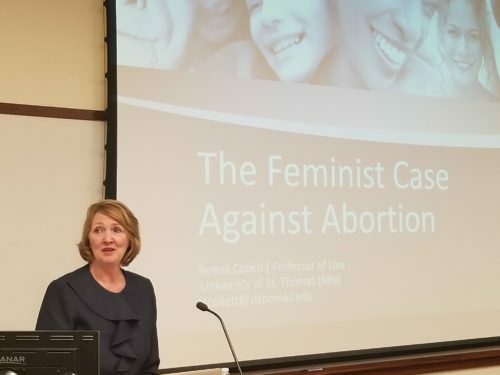 Professor Teresa Collett believes that women in the workplace have been marginalized by the landmark Roe v. Wade Supreme Court decision and argued her opinion on Nov. 13 during her presentation, “The Feminist Case Against Abortion,” at Quinnipiac University School of Law. Collett, who serves as the director of the University of St. Thomas School of Law’s Pro-Life Center, claimed that women’s lives weren’t saved by the court’s ruling in 1973 that a state law banning abortions was unconstitutional, but rather by medical advancements and improved technology. O’Connor’s statement in defense of the court’s ruling that spousal awareness prior to obtaining an abortion was invalid under the Fourteenth Amendment has been interpreted in many ways, but Collett deems her words to mean that “women must kill their children” to fully engage in the workplace. Collett’s resume includes representing Congressman Ron Paul in defense of the U.S. federal ban of partial-birth abortions and serving over six years on the Pontifical Council for the Family after being appointed to the position in 2009 by Pope Benedict XVI. 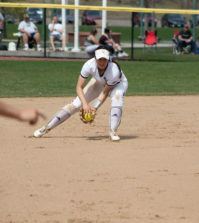 However, advancement in her career didn’t come without pushback from employers and coworkers. Collett claims she was urged to wait to have a baby and even told to have an abortion by a female coworker when she became pregnant while practicing law. Despite this, she worked up until she was eight and a half months pregnant. “Pregnancy discrimination is real,” Collett said, as she presented statistics showing that most women aspire to a happy and lasting marriage, and to eventually have children. If women can’t live out their biological lives, Collett explained, workplace pressure justified by the court’s decision in Roe v. Wade is partly to blame. Collett believes that more legal protections must be put in place to assist women who plan to start a family while maintaining a career. In addition, Collett advocated for more transparency from Planned Parenthood and state governments to report accurate abortion statistics. In spite of Collett’s detailed presentation, her argument did not sit well with everyone in attendance. Quinnipiac Law Professor Linda Meyer noted that “we don’t live in a utopia yet,” and it’s imperative to support women’s reproductive rights, including access to abortions. Others in attendance believed Collett’s argument conflated a woman’s right to choose with employers essentially forcing women to abort their children, and accused her of using dated case law and statistics. Third year law student and Women’s Law Society President Taylor Matook pointed out what she believed were “many holes” in Collett’s argument. “Professor Collett structured her entire ‘feminist pro-life’ argument around the argument that employers who discriminate against pregnancy can use abortion as a lever to propel that discrimination against pregnant employees, or those who want to have children in the near future,” Matook said. “Her entire presentation lacked any implementation of intersectionality, a core component of feminism, and wrongfully assumed that all women work for employers that offer adequate maternity leave,” she added. Regardless, Matook was pleased to see such a large turnout of students who were able to pose questions of disagreement with respect. 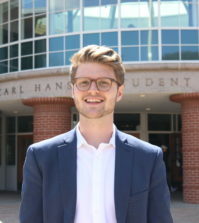 Cameron Atkinson, vice president of public relations for QUSL Federalist Society, agreed.